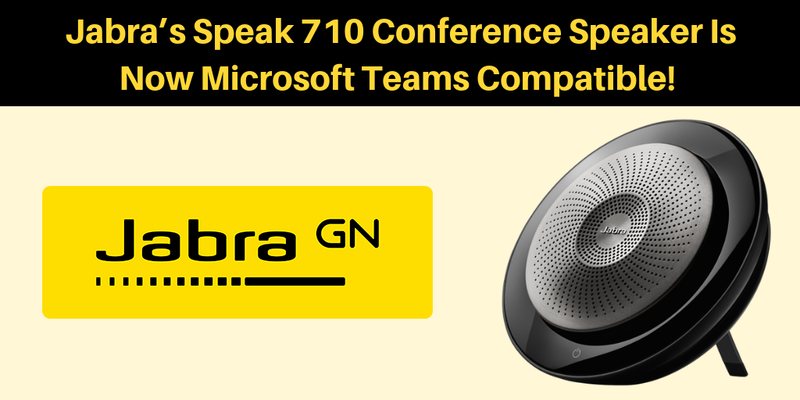 Jabra announced at Ignite 2018 that their Jabra Speak 710 conference speaker is now fully integrated with Microsoft Teams! The Speak 710 is a premium, portable speakerphone designed for professionals to use in and out of their offices. This device not just provide premium HiFi grade audio, but also delivers a superior unified communications experience, supporting executives’ needs for mobility, collaboration, connectivity, and flexibility. More details are coming soon! Jabra also announced that they are planning to release a new professional-grade true wireless earbuds, the Evolve 65t, later this year. The Evolve 65t earbuds are designed for the flexible worker who spends less than 50 % of their time physically at their desk. The Evolve 65t comes with superior sound quality without compromising on flexibility that allows you to switch between multiple devices at any given time. Learn more about the Evolve 65t here! Learn More about Microsoft Teams compatible headsets.